There’s no rest for the hurricane-weary. 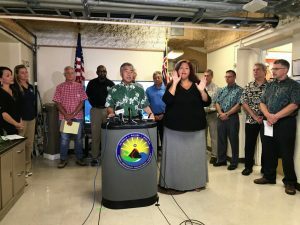 Even as some Hawai‘i residents are still recovering from Hurricane Lane and Tropical Storm Olivia, more storms are predicted through the end of November. The state’s string of natural disasters — from the April floods to the Kīlauea eruption to the named hurricanes — has proven one thing: Teamwork at all levels is making the difference when a real-time crisis hits. 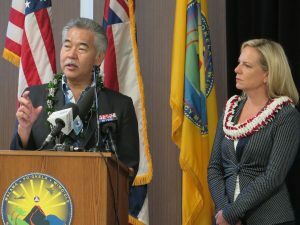 Homeland Security Secretary Kirstjen Nielsen with Governor Ige. While the rest of us hunker down when hurricanes threaten, state, county, federal workers and the military spring into action on multiple fronts. 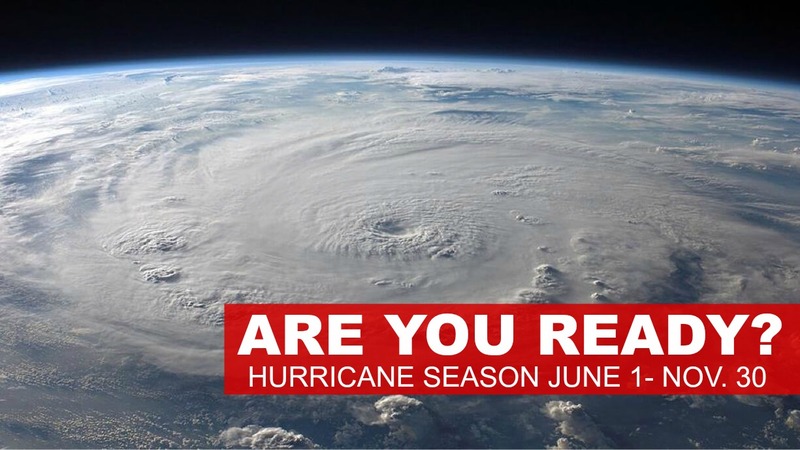 In the case of both Lane and Olivia, the governor’s speedy requests for presidential disaster declarations provided valuable access to federal resources. A Joint Task Force 5-0, led by Brig. 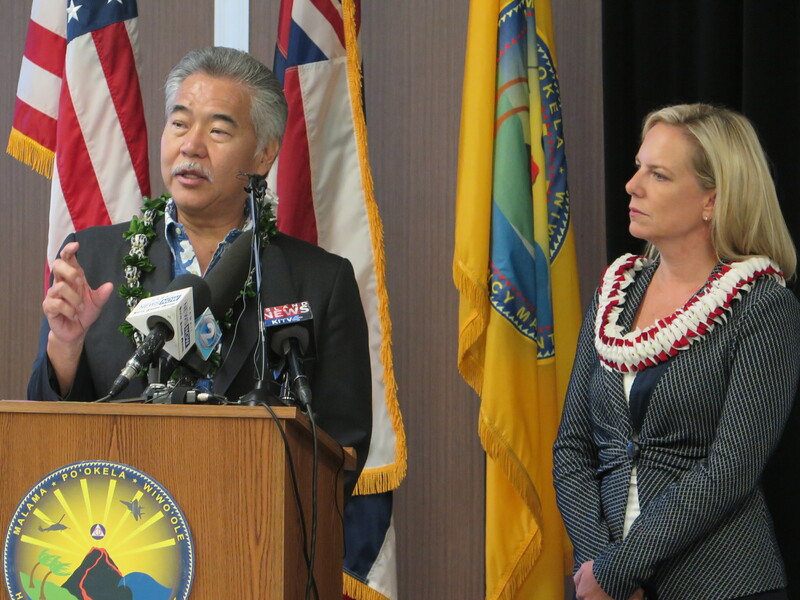 Gen. Kenneth Hara, ensured the National Guard and active duty military could work together on several islands. 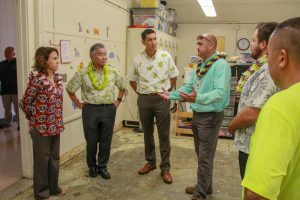 DOE Superintendent Christina Kishimoto, school officials, Gov. 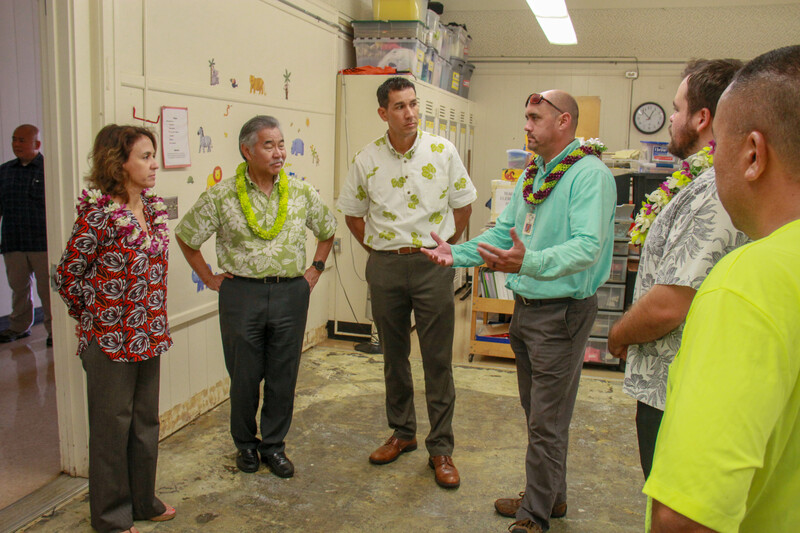 Ige and Hawai’i island legislators visit Waiakea Elementary to inspect flood damage.